Have you ever asked yourself why you are doing what you are doing and what the value for doing it is? Have you ever evaluated your current values including Personal values or Life values and connected your values to your goals? In this world, much of everything is attached with a value – What is the value of purchasing this product? What is the value of buying this service? Or even if a company wants to hire you, what is the value that you are offering to them. The more value you can offer, the better would be the demand for your service be in this modern world. Why is it that some people can be consistently successful in whatever they do and want and yet many people are not? It is simply the priority of the value of the time and effort that we are investing in that venture that matters. Most of the time we are rather inconsistent in how we invest our time and energy in our daily life. Most of us are easily distracted by people and things that happen in our life. We can be easily distracted by anything from achieving our targets or goal. One day we can work very efficiently and productively and the next day we can be lazy on the same job or work that we are doing. This is simply because we can be easily distracted by other things if we don’t prioritise our tasks at hand and we are not consistent in applying our time and energy to the task(s) at hand. Everyone attaches different values towards what they want in life. Most of the time our personal values to achieve success have been contaminated by our lower desire or lower self to a certain degree. In order to be successful with integrity values, we need to work with our Higher Self to find out what integrity values we need to inculcate and practice. For example, some people want more money because they value money as a tool which would enable them to give more service to humankind, and some people want more money because they value money as a tool for fame. No matter what your priority of values is in your life, a consistent focus of personal values with integrity in what you want is the key to achieving success. This theory applies to anything, including relationships, money, career, job or even the spiritual and ascension path. Use this Dowsing for Life Inspiration Pendulum Chart Set to let your Higher Self inspire you to finding out what value you need to cultivate further to achieve success in every aspect of your life. 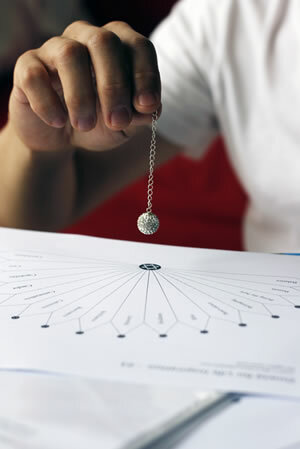 This Dowsing for Life Inspiration Pendulum Chart Set comes with 24 printable pendulum charts and costs only $19.90, which is less than $0.83 per pendulum chart. 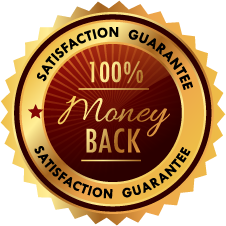 This is a small investment to assist you in gaining clarity about achieving success after success in your life. It might change your life forever (for the better)! Jamie has a relationship issue with his boss in his workplace. He thinks that someone is backstabbing him and that was causing relationship challenges between him and his boss. Jamie knows that it will be tough for him to achieve success in his career in this company given the strained relationships with his boss. And a promotion which he is eyeing for this year may not happen if he did not do something about his relationship with his boss. Jamie wanted to know what values he needs to inculcate on his part to cultivate in a consistent manner in order to have a harmonious relationship with his boss in this company. We checked for the top 3 quality values that Janie needed to inculcate, cultivate and practise in his workplace in order to be successful in his current job. From the advice given by his Higher Self, Jamie realised that he needed to be more lively, optimistic, cheerful and have good spirit. At the same time, he had to be pleasingly ingenious and simple. He also had to be able to work together with other team members without any judgement. He is aware that the essence of those qualities or values are already with her soul. It is just that the challenges that he faced had clouded his vision all these while. John is the Art Director in an international media company. After attending a meeting with a prospective international client pitching for a job in the millions of dollars, he wanted to know how he can successfully secure this job. John had two questions related to his case. What are the top 3 values that I should practice and be committed to in a consistent manner in order for me to raise the chances of successfully pitching for this project to the client’s key person (decision maker)? Based on the inspiration from his Higher Self, he felt that he should project his image as being innovative and always being unique from other competitors, while staying motivated and be punctual in meeting with his client. What are the top 3 inspiration values I should infuse into the story direction of the storyboard for my client’s products for an advertising campaign in order to meet my client’s key person’s (decision maker) and my client’s corporate values? Mark has been married for 5 years now and he feel that the relationship between him and his wife is starting to get cold. Mark loves his wife and wants to keep the relationship going strong but he wanted to find out more from his Higher Self what negative values were causing the issues in his relationship with his wife and what positive values he should cultivate in order to maintain a long term and harmonious relationship. What are the top 3 values that I should practice in this relationship based on my Higher Self’s consciousness in order for me to maintain a loving and harmonious relationship with my wife? With the help of Mark’s Higher Self, he understood that he needed to practice receptiveness: willingness or readiness to receive his wife’s opinions, be it about him or their relationship or just about anything, yet at the same time being pleasant with his wife in communicating with her to the extent of how he would communicate at work, ie., professionally and not acting like a child (which he realised was what he was doing in communicating with his wife). The main benefits of knowing your life values is that you will gain better clarity and focus on what you want in your life, by practicing the new-found values you will achieve greater clarity to make consistent decisions and take committed action to realize your dreams. 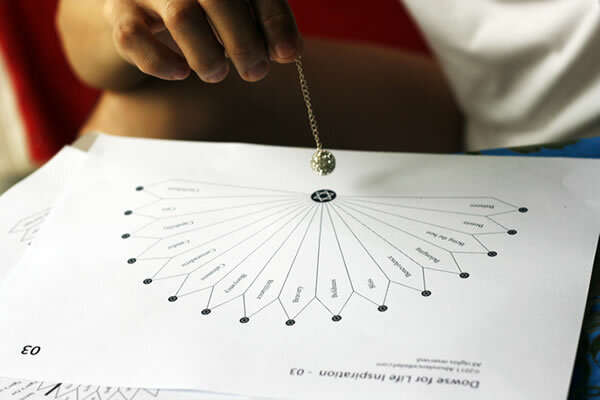 So the whole point of discovering your values by using the Dowsing for Life Inspiration Pendulum Chart Series is help to improve the results of what you get in those areas that truly are most important to you. Once we understand our personal values, we can make clearer key decisions on what we want in our life. The more passionate we are about our personal values, the higher the higher the energy that we will project onto what we want in our life. Thus, there is a higher change of success in what we do. This is in short, the law of success and attraction. Write on a piece of paper the areas in your life where you wish to achieve success. For example, what is the value I need to cultivate further in consistent manner based on the perspective of my Higher Self if I want be successful in ______________? Ask your Higher Self that question and then use a pendulum with the Dowsing for Life Inspiration Master Chart to find out which chart to use. At the specific chart, find out which value. Then write down those values on the worksheet. Ask your Higher Self, if there are any more important values that you should cultivate for the case above? If yes, go to the Master Chart to find out which chart to use and write that down in the worksheet. Contemplate on your research, change your mindset if required. You might need to be mindful about the values and how to apply them in your case to bring success. These pendulum charts file size formatted with high quality resolution in PDF format (best printed in A4 size paper), you are require Adobe Acrobat reader to open this file. Please click here to install this free software from adobe.com if do not have this software in your computer. Please note that the downloadable charts file size around 5MB.